I saw one of these close-up at the Pima Air and Space Museum in Tucson Arizona. They are truly awesome. About fifteen years ago I took my oldest grandson, Kyle, to see Major Brian Shul and his co-pilot Walt Watson speak about their experiences flying the R-71. It was a wonderful presentation with many personal videos and photos taken by them during their flights. In April 1986, following an attack on American soldiers in a Berlin disco, President Reagan ordered the bombing of Muammar Qaddafi’s terrorist camps in Libya. My duty was to fly over Libya and take photos recording the damage our F-111′s had inflicted. Qaddafi had established a ‘line of death,’ a territorial marking across the Gulf of Sidra , swearing to shoot down any intruder that crossed the boundary. 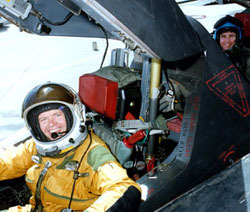 On the morning of April 15, I rocketed past the line at 2,125 mph. After several agonizingly long seconds, we made the turn and blasted toward the Mediterranean ‘You might want to pull it back,’ Walter suggested. It was then that I noticed I still had the throttles full forward. The plane was flying a mile every 1.6 seconds, well above our Mach 3.2 limit. It was the fastest we would ever fly. I pulled the throttles to idle just south of Sicily , but we still overran the refueling tanker awaiting us over Gibraltar. Scores of significant aircraft have been produced in the 100 years of flight, following the achievements of the Wright brothers, which we celebrate in December. Aircraft such as the Boeing 707, the F-86 Sabre Jet, and the P-51 Mustang are among the important machines that have flown our skies. 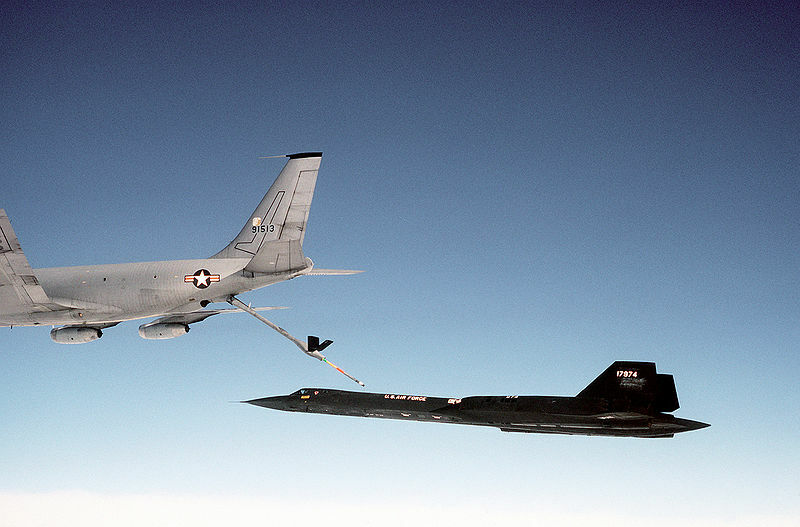 But the SR-71, also known as the Blackbird, stands alone as a significant contributor to Cold War victory and as the fastest plane ever-and only 93 Air Force pilots ever steered the ‘sled,’ as we called our aircraft. As inconceivable as it may sound, I once discarded the plane. Literally. 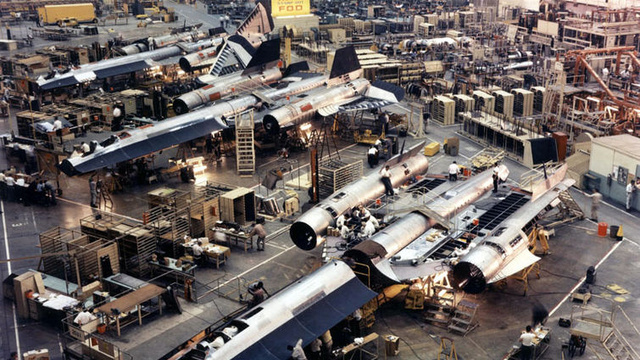 My first encounter with the SR-71 came when I was 10 years old in the form of molded black plastic in a Revell kit. Cementing together the long fuselage parts proved tricky, and my finished product looked less than menacing. Glue, oozing from the seams, discolored the black plastic. It seemed ungainly alongside the fighter planes in my collection, and I threw it away. 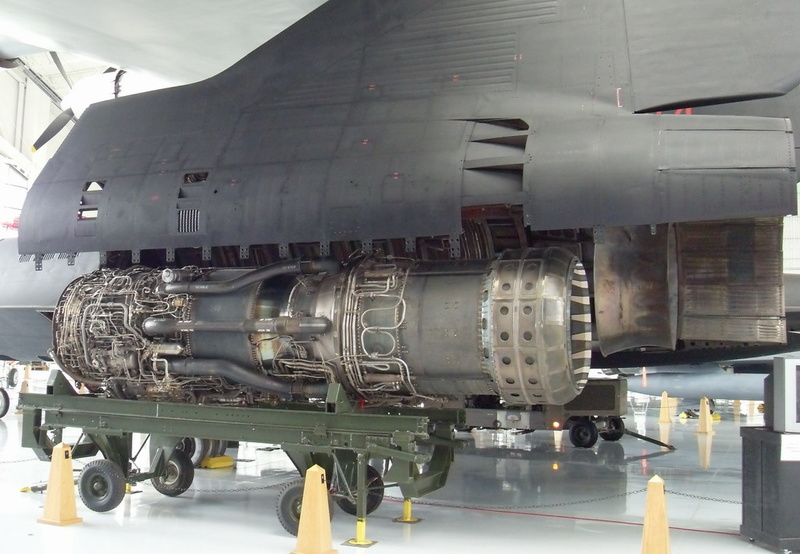 Twenty-nine years later, I stood awe-struck in a Beale Air Force Base hangar, staring at the very real SR-71 before me. I had applied to fly the world’s fastest jet and was receiving my first walk-around of our nation’s most prestigious aircraft. In my previous 13 years as an Air Force fighter pilot, I had never seen an aircraft with such presence. At 107 feet long, it appeared big, but far from ungainly. The SR-71 was the brainchild of Kelly Johnson, the famed Lockheed designer who created the P-38, the F-104 Starfighter, and the U-2. After the Soviets shot down Gary Powers’ U-2 in 1960, Johnson began to develop an aircraft that would fly three miles higher and five times faster than the spy plane-and still be capable of photographing your license plate. However, flying at 2,000 mph would create intense heat on the aircraft’s skin. 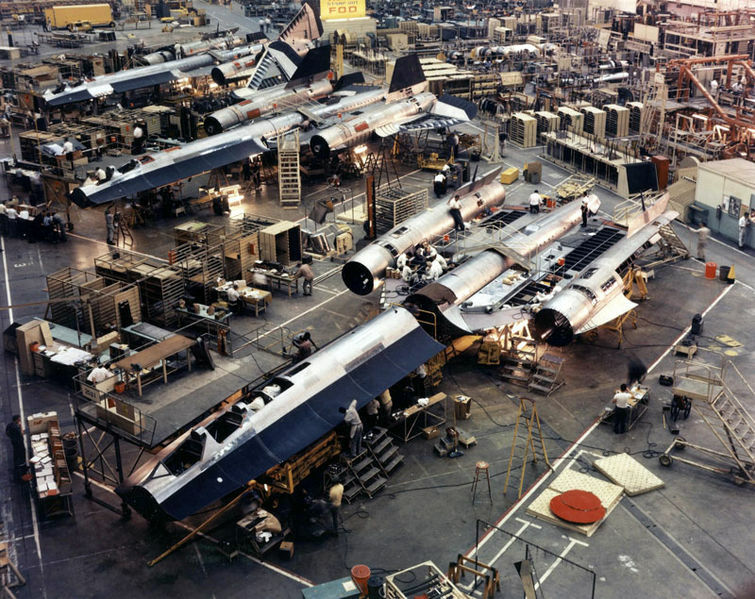 Lockheed engineers used a titanium alloy to construct more than 90 percent of the SR-71, creating special tools and manufacturing procedures to hand-build each of the 40 planes. 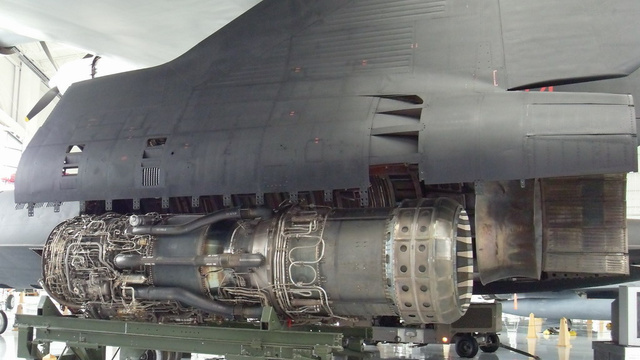 Special heat-resistant fuel, oil, and hydraulic fluids that would function at 85,000 feet and higher also had to be developed. 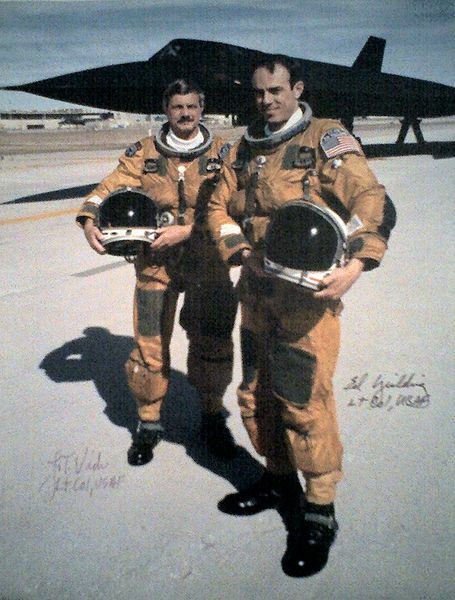 In 1962, the first Blackbird successfully flew, and in 1966, the same year I graduated from high school, the Air Force began flying operational SR-71 missions. I came to the program in 1983 with a sterling record and a recommendation from my commander, completing the week-long interview and meeting Walter, my partner for the next four years He would ride four feet behind me, working all the cameras, radios, and electronic jamming equipment. I joked that if we were ever captured, he was the spy and I was just the driver. He told me to keep the pointy end forward. One day, high above Arizona , we were monitoring the radio traffic of all the mortal airplanes below us. First, a Cessna pilot asked the air traffic controllers to check his ground speed. ‘Ninety knots,’ ATC replied. A twin Bonanza soon made the same request. ‘One-twenty on the ground,’ was the reply. To our surprise, a navy F-18 came over the radio with a ground speed check. I knew exactly what he was doing. Of course, he had a ground speed indicator in his cockpit, but he wanted to let all the bug-smashers in the valley know what real speed was ‘Dusty 52, we show you at 620 on the ground,’ ATC responded. The situation was too ripe. I heard the click of Walter’s mike button in the rear seat. In his most innocent voice, Walter startled the controller by asking for a ground speed check from 81,000 feet, clearly above controlled airspace. In a cool, professional voice, the controller replied, ‘ Aspen 20, I show you at 1,982 knots on the ground.’ We did not hear another transmission on that frequency all the way to the coast. Here is a video that describes this incident taken from one of their presentations. 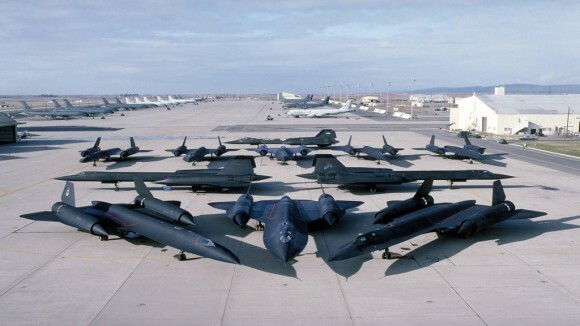 The Blackbird always showed us something new, each aircraft possessing its own unique personality. In time, we realized we were flying a national treasure. When we taxied out of our revetments for takeoff, people took notice. 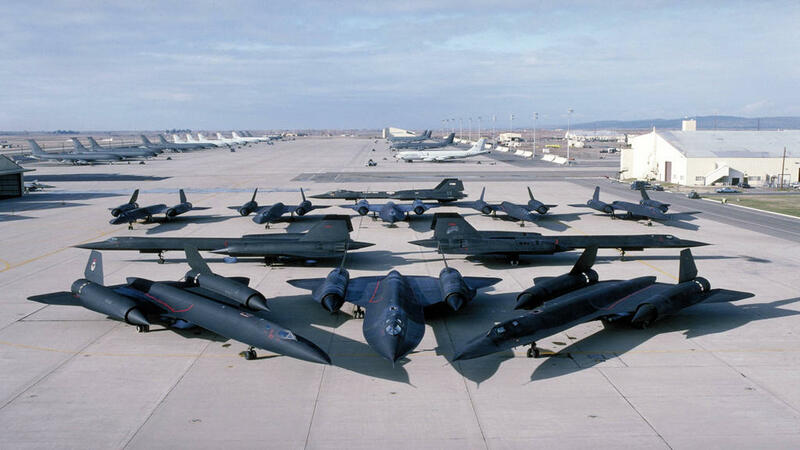 Traffic congregated near the airfield fences, because everyone wanted to see and hear the mighty SR-71 You could not be a part of this program and not come to love the airplane. Slowly, she revealed her secrets to us as we earned her trust. One moonless night, while flying a routine training mission over the Pacific, I wondered what the sky would look like from 84,000 feet if the cockpit lighting were dark. While heading home on a straight course, I slowly turned down all of the lighting, reducing the glare and revealing the night sky. Within seconds, I turned the lights back up, fearful that the jet would know and somehow punish me. But my desire to see the sky overruled my caution, I dimmed the lighting again. To my amazement, I saw a bright light outside my window. As my eyes adjusted to the view, I realized that the brilliance was the broad expanse of the Milky Way, now a gleaming stripe across the sky. Where dark spaces in the sky had usually existed, there were now dense clusters of sparkling stars Shooting stars flashed across the canvas every few seconds. It was like a fireworks display with no sound. I knew I had to get my eyes back on the instruments, and reluctantly I brought my attention back inside. To my surprise, with the cockpit lighting still off, I could see every gauge, lit by starlight. In the plane’s mirrors, I could see the eerie shine of my gold spacesuit incandescently illuminated in a celestial glow. I stole one last glance out the window. Despite our speed, we seemed still before the heavens, humbled in the radiance of a much greater power. For those few moments, I felt a part of something far more significant than anything we were doing in the plane. The sharp sound of Walt’s voice on the radio brought me back to the tasks at hand as I prepared for our descent. 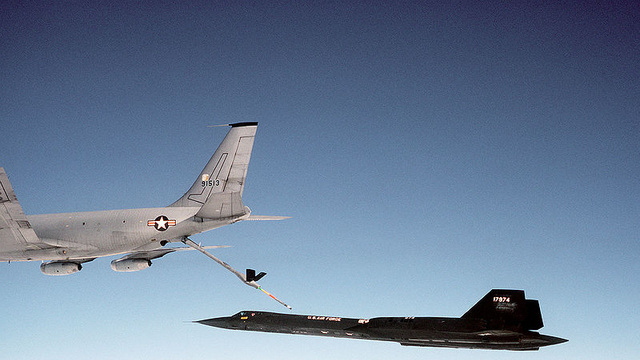 The SR-71 served six presidents, protecting America for a quarter of a century. Unbeknownst to most of the country, the plane flew over North Vietnam , Red China, North Korea , the Middle East, South Africa , Cuba , Nicaragua , Iran , Libya , and the Falkland Islands . On a weekly basis, the SR-71 kept watch over every Soviet nuclear submarine and mobile missile site, and all of their troop movements. It was a key factor in winning the Cold War. With the Libyan coast fast approaching now, Walt asks me for the third time, if I think the jet will get to the speed and altitude we want in time. I tell him yes. I know he is concerned. He is dealing with the data; that’s what engineers do, and I am glad he is. But I have my hands on the stick and throttles and can feel the heart of a thoroughbred, running now with the power and perfection she was designed to possess. I also talk to her. Like the combat veteran she is, the jet senses the target area and seems to prepare herself. Out my left window, Libya looks like one huge sandbox. A featureless brown terrain stretches all the way to the horizon. There is no sign of any activity. Then Walt tells me that he is getting lots of electronic signals, and they are not the friendly kind. The jet is performing perfectly now, flying better than she has in weeks. She seems to know where she is. She likes the high Mach, as we penetrate deeper into Libyan airspace. Leaving the footprint of our sonic boom across Benghazi , I sit motionless, with stilled hands on throttles and the pitch control, my eyes glued to the gauges. I move my gloved finder across the small silver wheel on the autopilot panel which controls the aircraft’s pitch. With the deft feel known to Swiss watchmakers, surgeons, and ‘dinosaurs’ (old- time pilots who not only fly an airplane but ‘feel it’), I rotate the pitch wheel somewhere between one-sixteenth and one-eighth inch location, a position which yields the 500-foot-per-minute climb I desire. The jet raises her nose one-sixth of a degree and knows, I’ll push her higher as she goes faster. The Mach continues to rise, but during this segment of our route, I am in no mood to pull throttles back. With no words spoken, I sense Walter is thinking in concert with me about maintaining our programmed course. To keep from worrying, I glance outside, wondering if I’ll be able to visually pick up a missile aimed at us. Odd are the thoughts that wander through one’s mind in times like these. 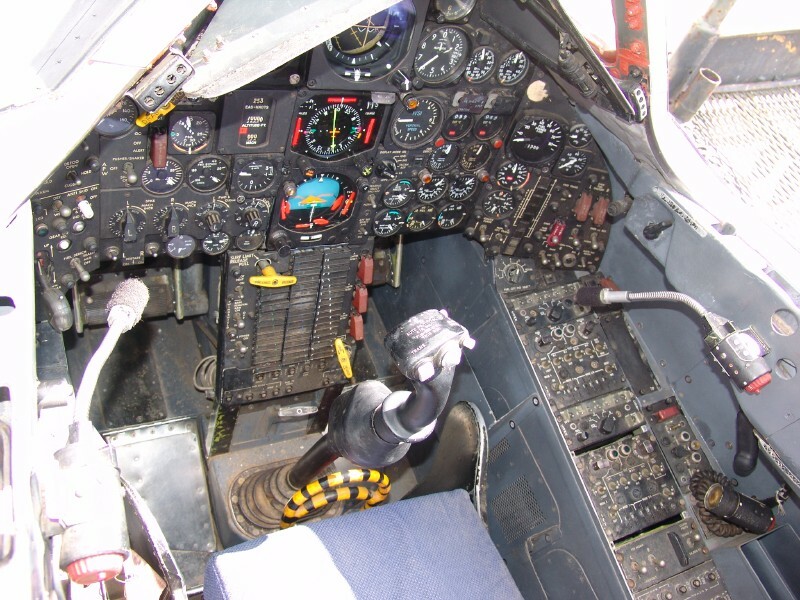 I found myself recalling the words of former SR-71 pilots who were fired upon while flying missions over North Vietnam They said the few errant missile detonations they were able to observe from the cockpit looked like implosions rather than explosions. This was due to the great speed at which the jet was hurling away from the exploding missile. I see nothing outside except the endless expanse of a steel blue sky and the broad patch of tan earth far below. 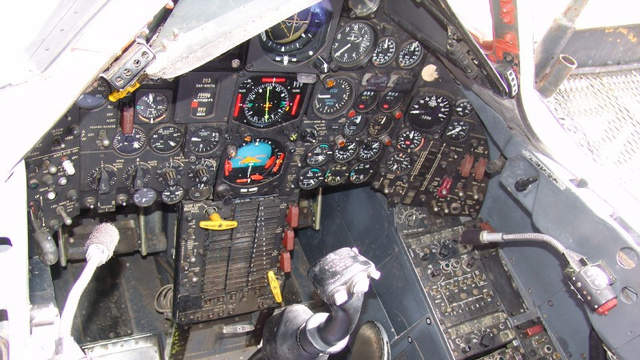 I have only had my eyes out of the cockpit for seconds, but it seems like many minutes since I have last checked the gauges inside. Returning my attention inward, I glance first at the miles counter telling me how many more to go, until we can start our turn Then I note the Mach, and passing beyond 3.45, I realize that Walter and I have attained new personal records. The Mach continues to increase. The ride is incredibly smooth. It is a race this jet will not let us lose. The Mach eases to 3.5 as we crest 80,000 feet. We are a bullet now – except faster. We hit the turn, and I feel some relief as our nose swings away from a country we have seen quite enough of. Screaming past Tripoli , our phenomenal speed continues to rise, and the screaming Sled pummels the enemy one more time, laying down a parting sonic boom. In seconds, we can see nothing but the expansive blue of the Mediterranean . I realize that I still have my left hand full-forward and we’re continuing to rocket along in maximum afterburner. The TDI now shows us Mach numbers, not only new to our experience but flat out scary. Walt says the DEF panel is now quiet, and I know it is time to reduce our incredible speed. I pull the throttles to the min ‘burner range and the jet still doesn’t want to slow down. Normally the Mach would be affected immediately, when making such a large throttle movement, but for just a few moments old 960 just sat out there at the high Mach, she seemed to love and like the proud Sled she was, only began to slow when we were well out of danger. Major Brian Shul is the author of Sled Driver, a fascinating account of his experiences as a pilot of the SR-71 Blackbird. Here is a video of a RC model of the SR-71. This entry was posted in Educational, Inspirational and tagged Nostalgia, Technology. Bookmark the permalink.